Dress your windows with a sophisticated Ranch flair by adding the Bison Ridge Faux Suede Drapes topped off with a Bison Ridge Rod Pocket Valance. 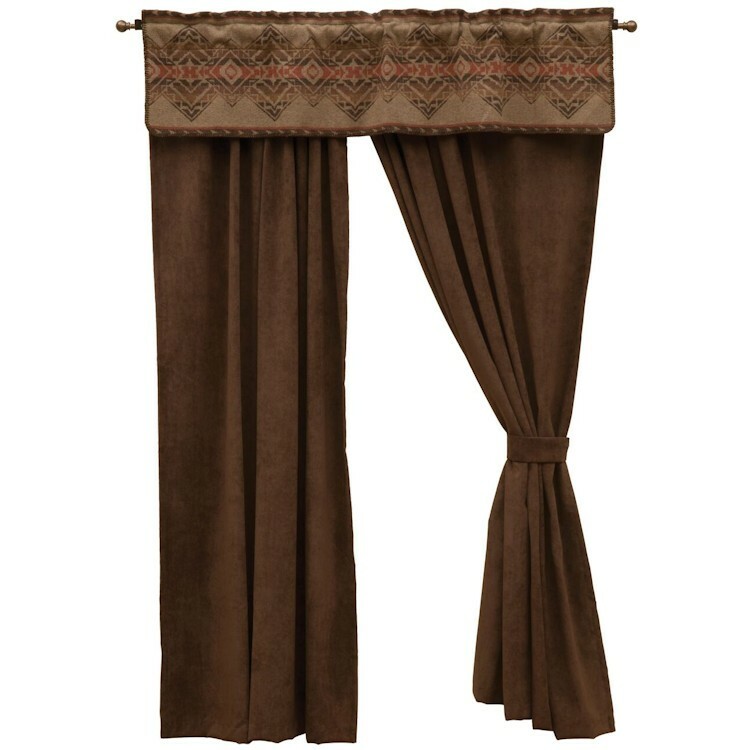 The solid color Pair of Chocolate Faux Suede Drapes are made of dark brown polyester faux suede with a rod pocket top. These draperies are a beautiful addition to any room in your home. The Bison ridge Valance is a ranch inspired valance accented with geometric shapes in shades of spice, blue and natural earth tones.